The Bold and the Beautiful (B&B) spoilers tease that Liam (Scott Clifton) will feel like his emotions are a mess. He still hates the fact that Bill (Don Diamont) betrayed him, but he had some sympathy for his dad in that hospital bed. Liam has obviously been thinking about how he would feel if Bill died. It’s putting things in perspective a bit, so Liam will have more to ponder. Steffy (Jacqueline MacInnes Wood) will likely feel pretty torn herself. That could help her connect with Liam and bring them closer once again. Liam may feel like life’s too short to stay angry. He could make some major progress in the forgiveness department, which would be great news for Steffy. Unfortunately, a big secret will come out and it could reignite Liam’s rage. After Hope (Annika Noelle) blabs about Bill’s proposal to Steffy, Liam will likely hit the roof. He may confront Steffy and demand to know why she kept quiet. Liam could wonder if Steffy still feels something for Bill. His trust issues will inevitably resurface and create a huge reunion hurdle. Steffy may get upset since she didn’t ask Bill to pop the question. She did everything she could to shut down the marriage offer and get Bill out of there. Steffy may fire back at Liam for treating her unfairly. She deserved to face consequences for sleeping with Bill, but she’s innocent in the proposal drama. Steffy’s frustration could lead to a major outburst, which would only get Liam more riled. 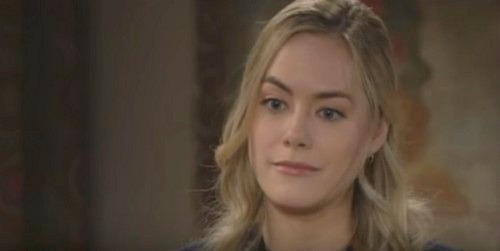 The Bold and the Beautiful could easily be setting up an explosive confrontation. Since Steffy’s pregnant, it’s not a good idea to be ripping into each other like this. Will Steffy have a medical crisis? Could the stress of all this lead to a miscarriage scare? That’d be another great B&B tactic to bring Liam and Steffy together. Steffy might be rushed to the hospital and told that her pregnancy is now quite risky. 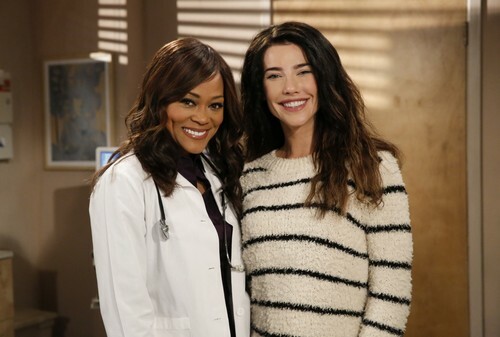 Dr. Phillips (Robin Givens) has more scenes coming up, so she’ll be monitoring the situation along the way. Perhaps an ordeal like this would finally convince Liam to let the past go. It’d be better for Liam to focus on the positive aspects of his life and start working toward a solid family with Steffy. Do you think Liam will inadvertently lead to a medical crisis for Steffy? Would that be enough to finally push past her mistakes? We’ll give you updates as other Bold and the Beautiful details emerge. Stay tuned to B&B and don’t forget to check CDL often for the latest Bold and the Beautiful spoilers, updates and news.